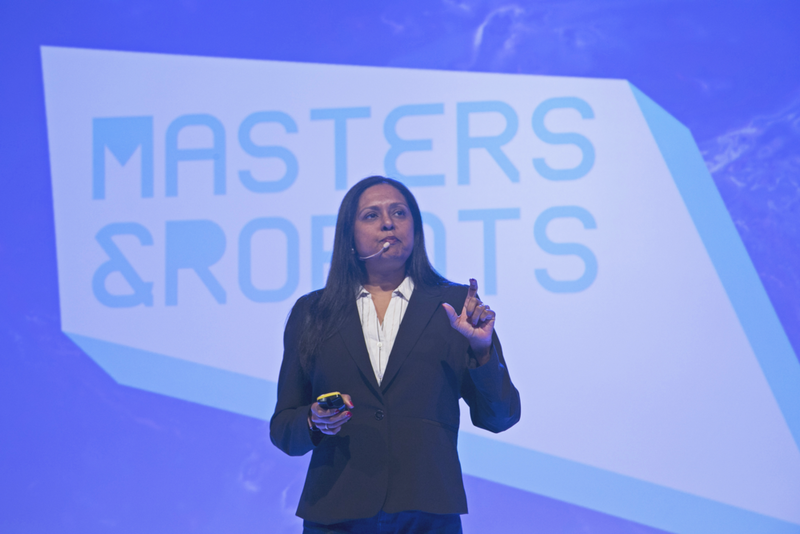 Meet Dr. Bidushi Bhattacharya, a rocket scientist and entrepreneur with over two decades of experience working for NASA and in higher education administration. Since moving to Singapore a couple years ago, Bidushi has built the spacetech scene in the country, founding Astropreneurs HUB (astro-launch.com), Southeast Asia's first space technology incubator, and Bhattacharya Space Enterprises (bse-space.com), a Singaporean startup dedicated to space-related education and training. 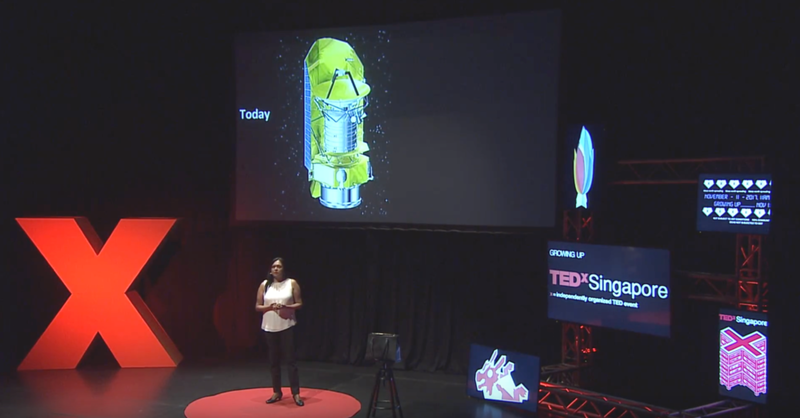 Bidushi’s honesty and humor create an amazing narrative of her innovation in the space industry. Read on to learn more. “My parents are both originally from what was then known as ‘East Bengal’ and became known as ‘East Pakistan’ in 1947. With the partition of India, they moved to Kolkata and lost everything they had. That whole experience had a lasting impact on our family. My dad left India in 1957 with a group of his college batchmates and went to Germany for his PhD. There was a real shortage of students in Germany post World War II, so they were giving out full scholarships. He finished his PhD, went to England for his post doc, and that’s where I was born. We moved to San Francisco, and then to Omaha, and back to Kolkata in 1969 which wasn’t the best time to go back. The Naxalites had just started their strikes and the Bangladesh Liberation War happened in 1971. Seven million refugees moved from Bangladesh to Kolkata in three months, and a lot of people in our community felt like they’d lost their homeland all over again. “When I was 10 years old, my parents let us eat dinner in front of the TV to watch the Viking 1 Mars landing in 1976 (now I’m dating myself!). It was absolutely fascinating, and that moment really inspired my interest in space. In high school, I worked on our newspaper and really enjoyed journalism. I was hoping to combine my interest in writing with my passion for astronomy and become a science journalist. But as we started thinking about colleges, engineering and science was more amenable to my parents than journalism (they wanted me to be a doctor, but we compromised!). I went to Rutgers University and majored in mechanical engineering and physics. When I graduated, I got a job at the Hubble Space Telescope at NASA, which was perceived by many to be high risk. The Challenger had just exploded shortly beforehand and NASA was in a really tough position, but I decided to join anyway. We ended up launching the Hubble and it was a great success both professionally and personally - and I ended up meeting my husband at NASA! “There was no commercial space industry in Singapore at the time, which presented a huge opportunity for me to make an impact. When I got here, the universities were barely beginning to launch their space programs. So I started emailing professors to meet, and they introduced me to others to start building my network in the area. I started giving more talks and established a footprint in the area. I’ve since started Bhattacharya Space Enterprises, a startup dedicated to space-related education and training, and Astropreneurs HUB, Southeast Asia’s first space technology incubator. Setting up a space startup wasn’t easy, as there weren’t many people doing this at the time. I used my years of work and experience to broker experiments from Singapore, and really wanted to cultivate Singapore’s talent in the space field. “While I was in college, my family and I went to visit India where my parents kept introducing me to a bunch of guys. I remember going to meet the first guy and my dad telling me to wear a sari. It was all so culturally out of context for me. When we first got there I told the family all about what I was studying and my future ambitions, and the father said a phrase that essentially meant I was coming across as irreverent or disrespectful in a defiant way. I continued to push back on an arranged marriage, particularly since I was still in college, but my dad was adamant about it and told me that if I didn’t marry who they’d want me to marry, I’d have to leave the house. My dad had been the patriarch of our family and was used to being in charge. He never had anyone stand up to him until I left that afternoon with $40 and some clothes in a trash bag. At that moment, I knew I didn’t want my life to be controlled in this way, and I also knew I didn’t want my younger sisters to go through this. My dad never expected me to leave, and didn’t try to marry off my sisters in the coming years.